“STYA / SYD” Key-Chain, in Sterling Silver, on blue or black Enamel, or without enamel at ll. Please allow 1-2 weeks for your “STYA / SYD” Key-chain to be made and dispatched, I can sometimes finish sooner, so do get in touch for an accurate delivery time. For any further information please do not hesitate to contact me and I would be happy to discuss. If you like my artwork please share it via social media with other STYA / SYD graduated officers all over the world. It will be much appreciated. A happy customer is my advertisement. 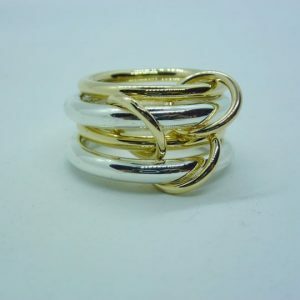 A custom made 9K Gold Ring for R.S. 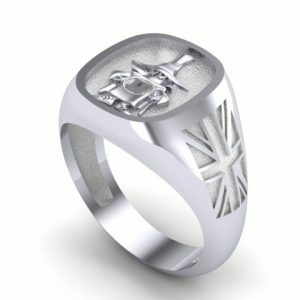 Mick received his 18K White Gold Spook Ring and send us some photos. Harold from California….Welcome To “Spook Ring” Family! 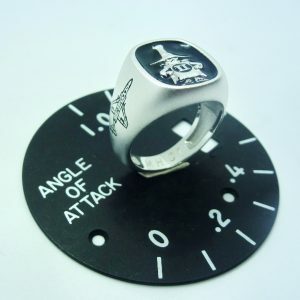 Thomas,custom Order Ring “Einmal Boelcke” Thanks Thomas for the trust. Unique Handmade Aviation Rings & Jewels. 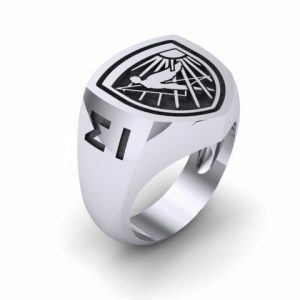 We accept custom jewelry requests like custom Phantom II spooky ring, or bike plates. Just imagine something and we are here create it.